This tape opens with some Eastenders. 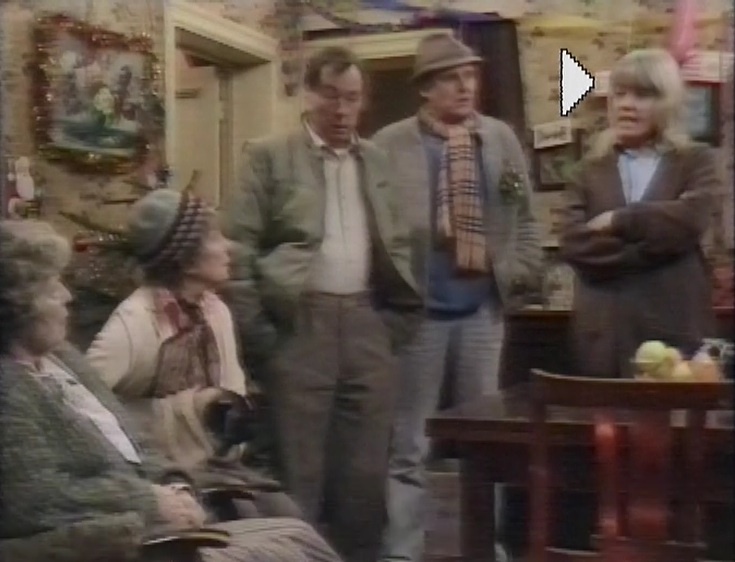 And not any of your new-fangled Eastenders with yer Danny Dyers and Shane Richies, this is proper old-school Eastenders. Here’s the first frame on this recording. As you can see, there’s tinsel in the room, so almost certainly the show is heading towards heartbreak and tragedy. Sure enough, within 2 minutes mary the punk’s father has taken her child in his car which is driving at speed around the square, narrowly missing the salvation army band, then hitting a bollard. Mary rips open the rear door, looks in and screams. Still, at least this tiny clip featured almost everyone I remember from EE when it started. There’s a trailer for Christmas Night with the Two Ronnies. 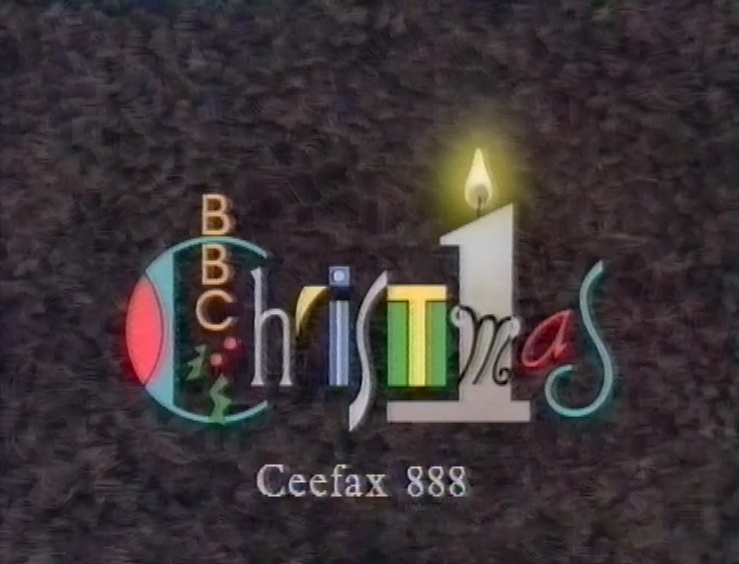 The BBC1 Christmas idents are surprisingly retro. 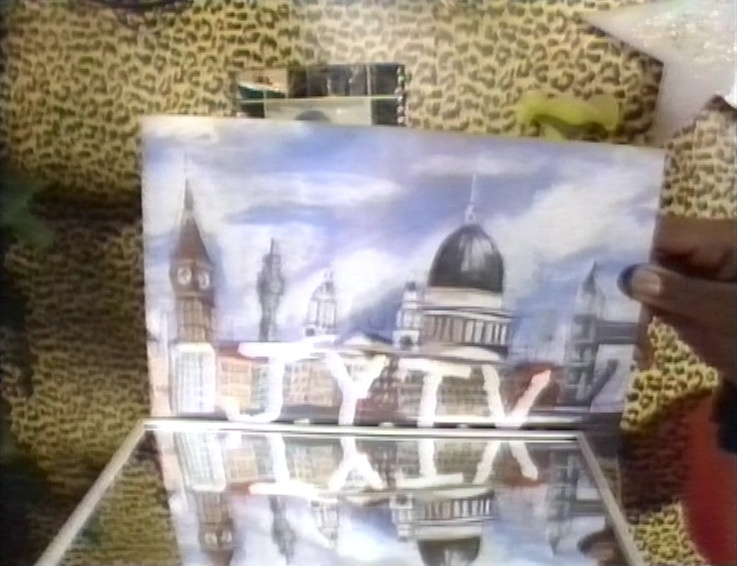 Then, it’s The Lenny Henry Christmas Show which opens with JYTV doing the Thames TV ident with a photo and a mirror. 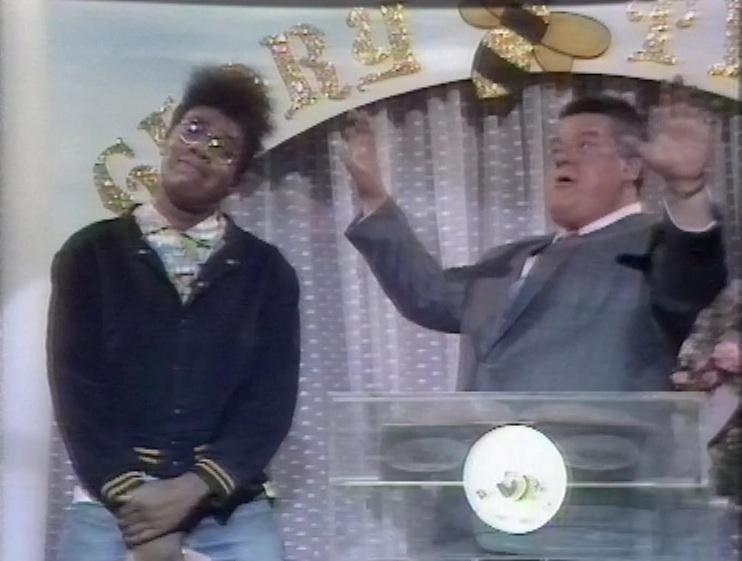 Robbie Coltrane turns up as an American preacher. Terence Trent Darby is the musical guest. There’s a nicely done pastiche of The Rock and Roll Years. Lenny plays all four members of the Temptations. He also does two versions of Michael Jackson, including the Bad era Jackson. 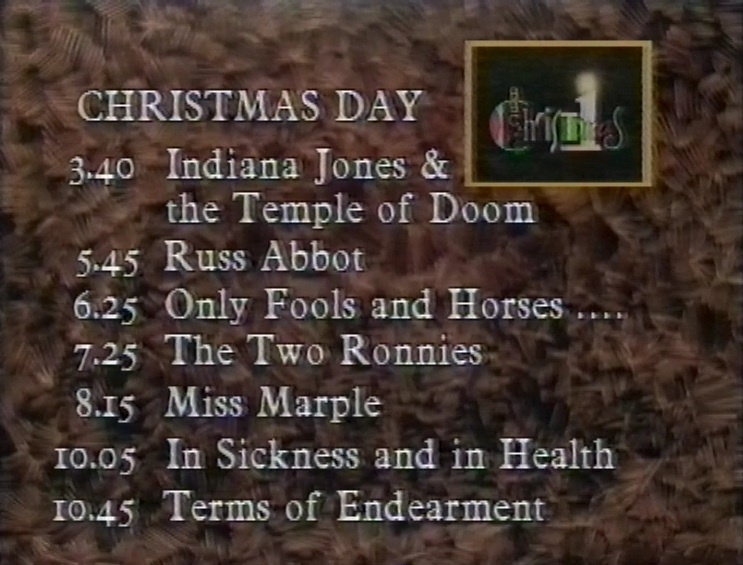 After Lenny’s show, there’s a trailer for programmes on Christmas Day. 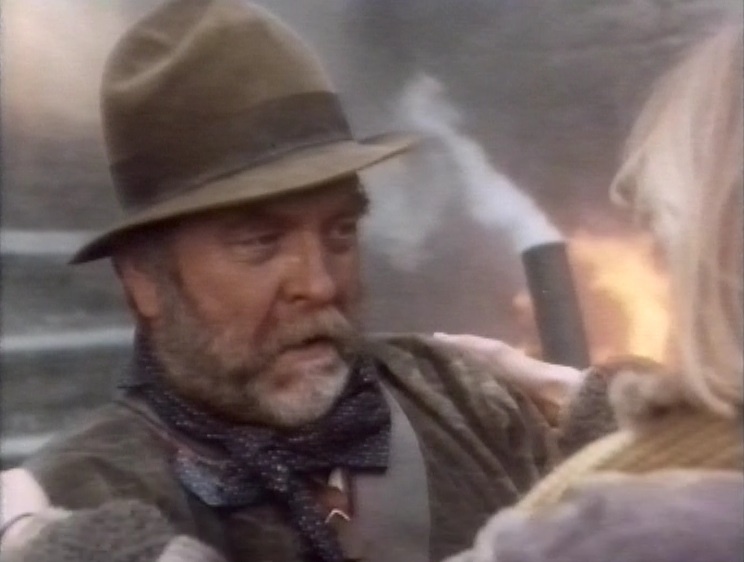 And next, we have High Road to China, Tom Selleck’s “I wish I’d been able to be Indiana Jones” movie. In case you didn’t know, Tom Selleck was Spielberg and Lucas’s first choice to play Indiana Jones, but he couldn’t get out of his contract on Magnum PI. Opening with the most John Barry soundtrack you’ve ever heard, Michael Sheard (Mr Bronson off of Grange Hill, or Admiral Ozzel off of Empire Strikes Back if you prefer) arrives in foreign climes, pursued by thick-set assassins. He’s a lawyer working for rich society girl Eve Tozer (Bess Armstrong), and he’s travelled to tell her that her father, who has been on a retreat for years, is about to be declared legally dead by his business partner (Robert Morley), meaning she will lose all her money. So she has to find someone to fly her to find her father, and the only man she can find is Tom Selleck, who we meet passed out drunk outside a bar. She offers him £10,000 to borrow his planes and fly to Afghanistan (“Well, Waziristan, to be precise). 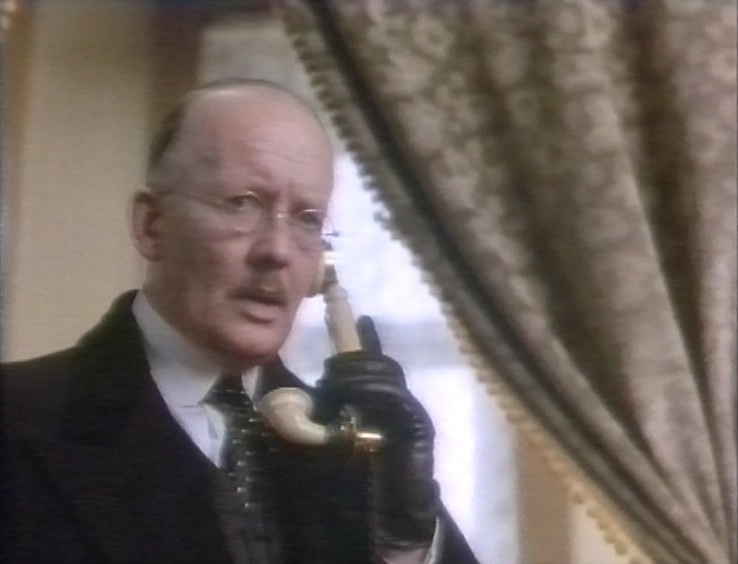 Mr Bronson is murdered by assassins, and they fly away, along with Selleck’s trusty mechanic, Struts. Miss Tozer, it turns out, is a brilliant pilot, and able to hold her own, definitely more Karen Allen than Kate Capshaw. 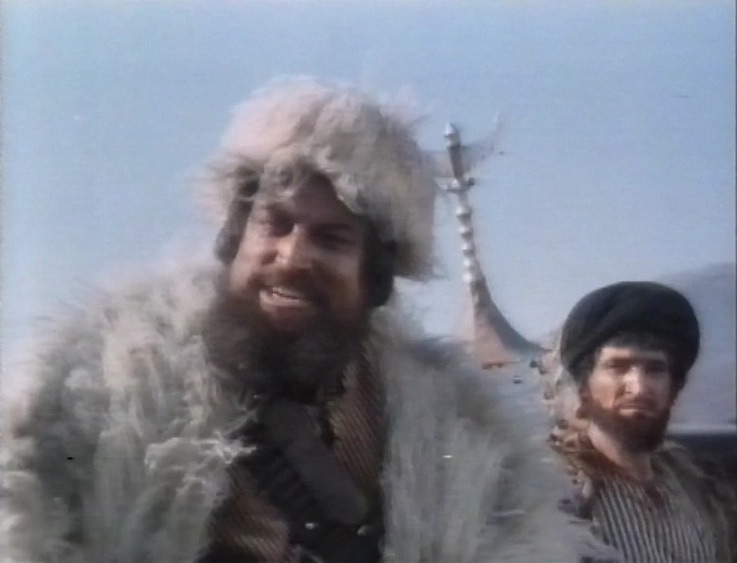 Along the way, they meet Brian Blessed as an afghan warlord. 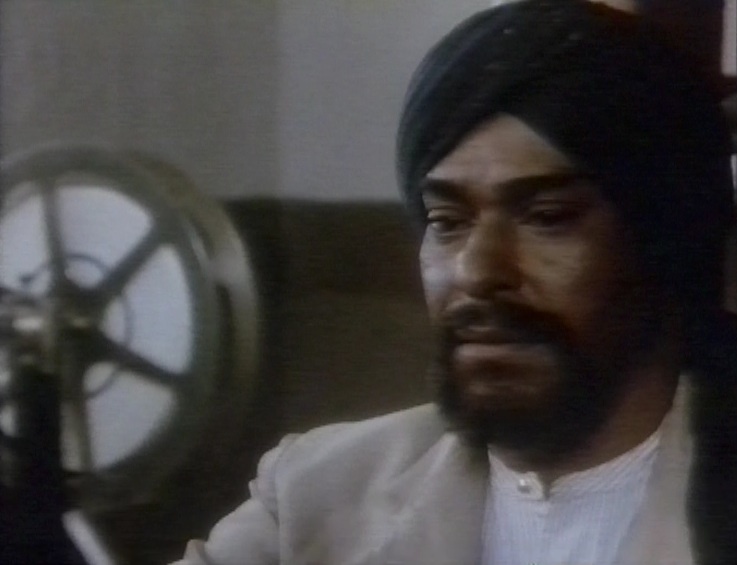 Dino Shafeek from It Ain’t Half Hot Mum also turns up. After a seemingly interminable loop of fly, land, get captured, escape, they eventually find her father, Wilford Brimley. The movie’s ‘Daddy, my Daddy’ moment doesn’t really register at the emotional level they want. It’s no Railway Children. There’s a lot more flying around, explosions and gunfire before the story is resolved, and wouldn’t you know it? Selleck and Armstrong end up smooching when the end credits roll. It’s a well enough made film, but it does really point up what a masterpiece Raiders of the Lost Ark really is. Rather embarrassingly, this movie is immediately followed by a caption trail for Indiana Jones and the Temple of Doom. At least they didn’t pay a full trailer. Then there’s a trail for Miss Marple: 4:50 From Paddington. Then, a News bulletin, featuring a US hostage, Terry Anderson, who has sent a message from captivity. After the news, we have a true Christmas treat. Christmas Eve with Val Doonican. 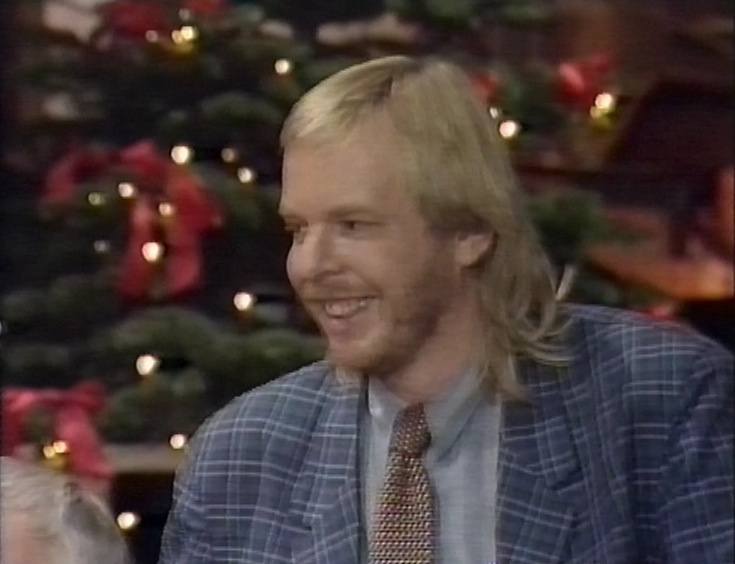 Crooning, chat, and special guests Sky, featuring Rick Wakeman. Another guest is Jane Asher, talking about cooking. Also featured is recorder virtuoso Michala Petri, but sadly the recording stops before we’re able to hear her perform, which is annoying as my wife is a recorder player, and would love to have heard her.